Nationals Union 06 Girls Black Win Cup Elite Invitational! 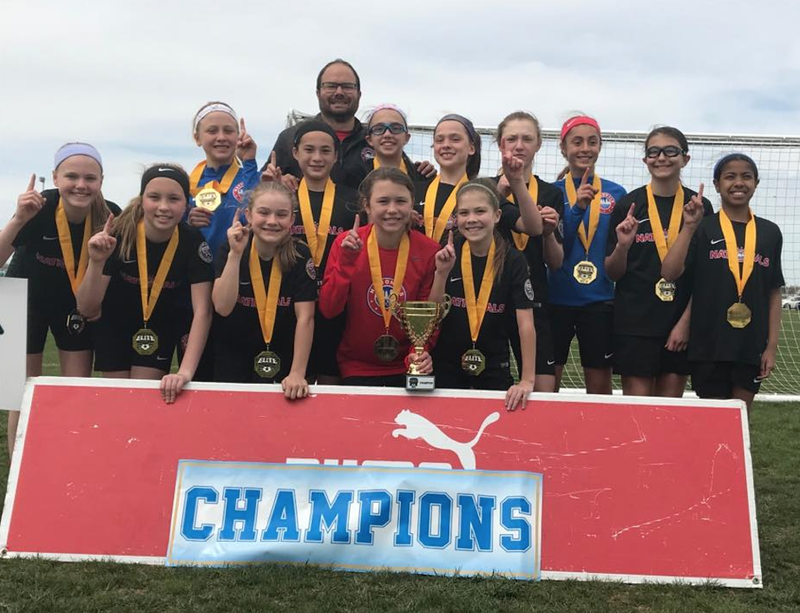 The Nationals Union 06 Girls Black team won the top division of the CUP Elite Invitational beating the Indiana Fire Juniors 06 Red team in a penalty kick shootout in the final. On the way to the final, the girls downed Cincinnati United Premier South 06 Girls (the # 1 ranked team in Ohio South) and Dynamo FC 06 Girls Red (the # 1 ranked team in Indiana),and tied NTH Tophat 06 Gold (the #2 ranked team in Georgia. 4-2).